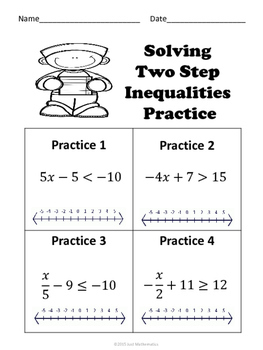 Two Step Inequalities: This packet contains worksheets on solving two step inequalities. These worksheets are great for differentiation and remediation. 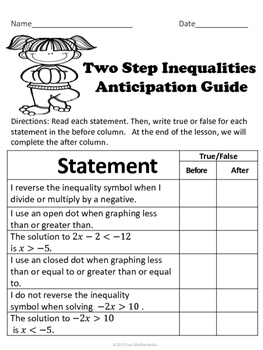 I have more two step inequalities resources available. Click on this link for two step inequalities puzzle. Click on this link for the two step inequalities scramble puzzle. 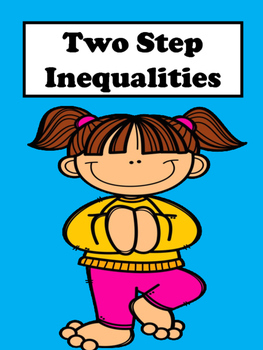 Click on this link for the two step inequalities coloring activity.